This unit is: USED. Great sale, Get it now before its gone! 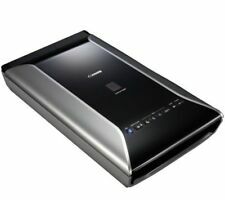 Fujitsu Scansnap S1300i Scanner. ScanSnap S1300i. ScanSnap specific driver (TWAIN/ISIS® not supported). Duplex color scanning. 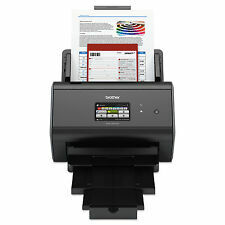 Simplex or Duplex Scanner Type. Simplex of Duplex 3 color LED (Red / Green / Blue). 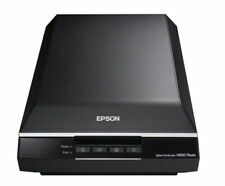 Epson Perfection V600 Color Photo Image Film Negative & Document Scanner. Shipped with USPS Priority Mail. Type: Flatbed Scanners. Colour: Black. Optical resolution: 1200 dpi per side or more. This listing includes: 1x scanner 1x power cord 1x USB cable Does not come in original packagaging or with any media or other accessories. Unit powers on and appears to function just fine. 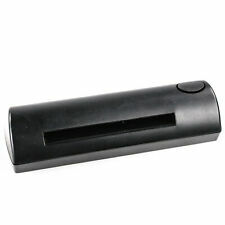 Outer plastics are well worn with heavy scratches and some discoloration. NEW! Jumbl Scanner 126KPK Super 8 Slides & Negatives All in One Film Converter. Condition is New. Shipped with USPS Priority Mail. Retails for $99.99! Starting bid less than $30!! Good used shape, included what you see pictured. Nikon Coolscan 5000 ED, near mint condition. But its SPECIAL This scanner has a minor defect. It works perfectly on the following adapters only: MA-21, FH-3 and SF-200-210 bulk loaders. It does NOT work with the SA-21. Nice used condition. Power on tested only. Für Super-8- und Normal-8-Filmspulen (umschaltbar, Adapter 8/13 mm enthalten) bis 17,8 cm / 7". Die Bedienung erfolgt ganz bequem über das integrierte TFT-Farb-Display. Hier wird auch der Fortschritt des Scanvorgangs live angezeigt. Epson Perfection V700 PHOTO Flatbed Scanner. Good working order, in original box with film holders and power cable. USB not included. Shipping via UPS. LCD is bright and clear, touchscreen is responsive. Without this software scanner can not be used. We do NOT have the software. 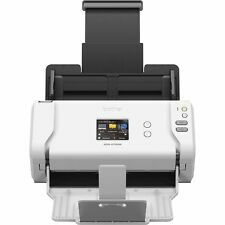 MIB Mustek ScanExpress A3 Scanner 11x17"
Brother ADS-1000w Compact Color Desktop Scanner Duplex WiFi Networking WARRANTY! It is in unused condition. When I tested it, it looked like the plastic cover had never been removed and it still has a factory label taped to the back. It has all the original software. Resolution: 200 / 300 dpi. 600 x 600 dpi optical resolution. 16 -bit depth. General information: Size H3.65, W27.6, D5cm. Weight 0.32kg. With anintuitive user interface, theDS-30 portable scanner is easy to use for everyone, from a tech-beginner to an advanced user. Bundle w/ OEM AC Adapter USB OEM Paper In-tray Paper Catch tray Setup DriverDVD (burnt). OEM Original accessories. Caratteristiche Flatbed Scanner Unit. Sorgente luminosa LED RGB. 600dpi risoluzione max. Anche per rilegati e fragili. Reparto Server. Model: fi-5120c. Then we will. Wrong size doesn't fit. Or it doesn't fit your application and is marked No longer want the item. 35mm slide mount holder (SH-P1). 35mm film holder (FH-P1). Brand new, never used, never removed from the box, box was opened to inspect contents then resealed. Brother ImageCenter ADS-2000 Document Scanner (NEW IN BOX!). Shipped with USPS Priority Mail. F2D Mighty Unit. Note: This unit does not convert 8 or Super 8 into digital videos. Check the Wolverine MovieMaker to convert 8 & Super8 into videos. 7 Film Type to Digital Converter. Negative Film Adapter. BBQ Grills. Used Cookwear. Personal Body Massagers. Opened Software. Drones - All defects can be handled under the manufacturer's warranty. Apple iPods. A/V Furniture. Restricted products include. Does Not Include rear input tray! Input Tray is Repaired See Picture. Hours: M-F 9am - 5pm. It is tested and working. Model Number: ScanSnap S300M. This scanner works with Mac computers. All pictures are from the actual scanner you will receive. Part Number: PA03541-B105. Vintage RARE Apple Scanner Model # A9M0337 !WORKS! Bluebird BM180 MDE Gerät. Das handliche und multifunktionale BM180 ist ein vielseitig einsetzbares Gerät. Trotz des Gewichts von gerade einmal 261 Gramm weißt es sehr gute Hardware auf, der leistungsstarke 1,5 GHz Dual Core Prozessor sorgt in Kombination mit 1GB RAM (optional 2GB) dafür, dass eine ununterbrochene Arbeit gewährleistet ist, um Ihre Aufgaben optimal zu bewältigen. Scanner diapositives et films 35mm NIKON Coolscan II (LS20-E). NIKON Coolscan II 35mm Slide and Film Scanner (LS20-E). Livré avec l'adaptateur optionnel FH-2 pour scanner les films négatifs . Works perfectly with the universal scanner software VueScan. So simple to use, it only requires a push of a button. No computer or software is needed. Use it right out of the box to convert all your film by plugging it into an AC outlet or any USB port. Easily connects to any Windows PC or MAC, to offload images or view on TV (TV Cable not included). 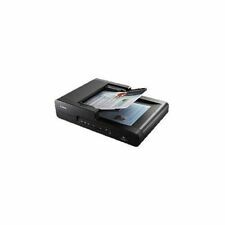 Fujitsu ScanSnap N1800 Color Image Duplex Document Network Scanner & AC Adapter. Includes the LS-50 Scanner by Nikon. I re-tested the Scanner with SilverFast Software. MA-21 Slide Mount Adapter. If the scanner is opened, ( screws are marked ), and the internal parts are tampered with. 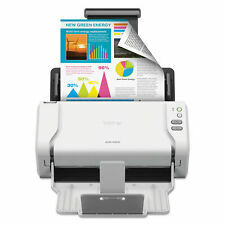 Excellent desktop scanner. Used but in full working condition. Bearbeitungsfunktionen direkt im Gerät - Zuschneiden, Drehen, Schwarz-Weiß, Farbe usw. Die Belichtungs- und Farbüberwachung übernimmt der Scanner dabei selbst, um bestmögliche Resultate zu erzielen. This is a used Book ScanCenter workstation. The station has Windows 7 Pro SP1 32bit with latest windows updates and Scannx Book ScanCenter software has been updates to the latest version and is functional. Plustek Opticfilm 7300 35mm High Res Film Negative Scanner Brand New Boxed.